We Rock For Autism, a South Florida based non-profit organization, has teamed up with the 80’s In The Park event of Melbourne, FL to promote autism awareness and acceptance and raise funds to assist children with autism receive music and art therapy sessions. Autism now effects 1 in 68 children. Although there are many theories on what causes the onset of autism, there is still no absolute answer. And, with all the advancements in diagnosis and treatment, there is still no cure. Research has shown that a vast amount of children with autism respond very well to music therapy when used in conjunction with a comprehensive treatment program. Music therapy is often used to address non-musical goals and often mirror speech, occupational, and behavior therapists. The popular 80’s In The Park event, which takes place in Melbourne FL on September 26th, 27th, and 28th of 2014 learned of the goals and mission of We Rock For Autism and immediately offered their assistance. The promoters of the event donated a sponsorship package to We Rock For Autism which includes vendor space at the event to allow them to promote their cause, as well as several tickets to the event to ensure the board members and their families would be able to attend and enjoy a weekend full of EVERYTHING 80’s…including some of the most popular rock bands, movies, toys, games and more from that awesome decade. We Rock For Autism is hoping to work with some of the scheduled bands to receive donated signed merchandise to sell at the event and possibly even a few auction items but requests that any band willing to offer up merchandise as a donation contact We Rock For Autism directly. 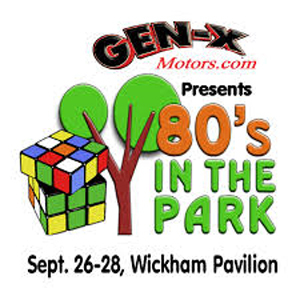 Tickets purchased for the event, using the We Rock For Autism link will also generate funds for the foundation, as the promoters of the 80’s In The Park event have decided to donate a portion of all We Rock For Autism tickets sales, back to the foundation. To get tickets to the event, please visit: http://www.showclix.com/event/3793614/tag/RockAutism. 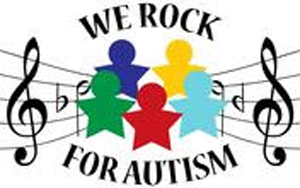 We Rock For Autism is a non-profit organization dedicated to autism awareness and acceptance. Our mission is to assist families and children affected by autism by helping with music and art therapy sessions, communication devises music players, instruments and information that will help improve the quality of life and skills of the children. For more information or to make a donation, please visit us at www.WeRockforAutism.org and on Facebook at www.Facebook.com/WeRockforAutism.